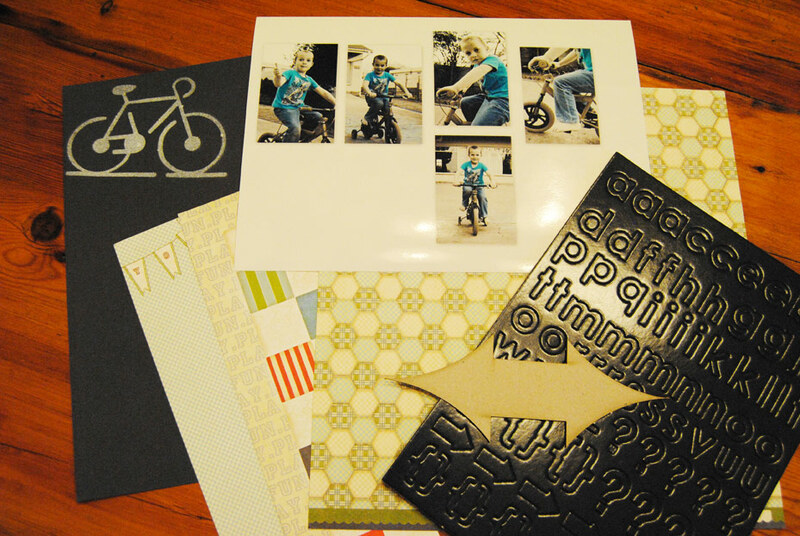 I recently received my kit from Scrapbook Studio, and was delighted with the lovely goodies included in my package. This is the September kit, and is ideal for those with sporty kids in the family!!!! I created my first tutorial with some of the lovely goodies, check it out!!! Position stencil. I placed mine in the left hand corner. 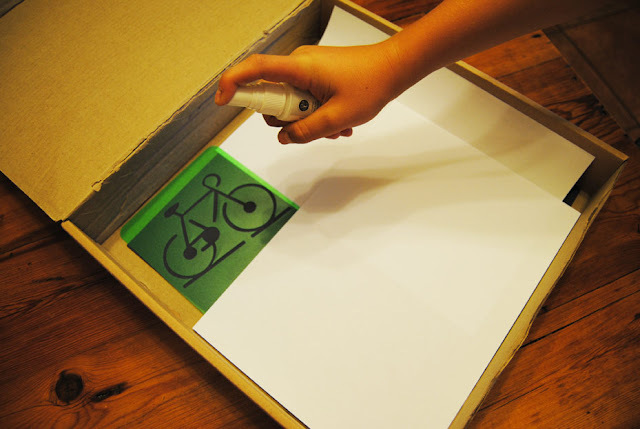 Be careful to cover all the rest of your cardstock so as not to get mist all over. I used Studio Calico Mr Huey’s Color Mist in the colour Opaque White. 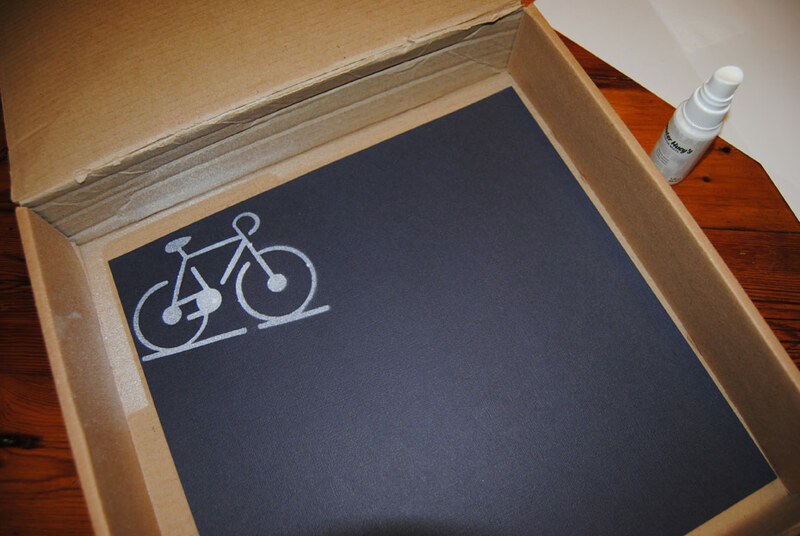 In hindsight I realize I should have positioned the stencil slightly more to the right! 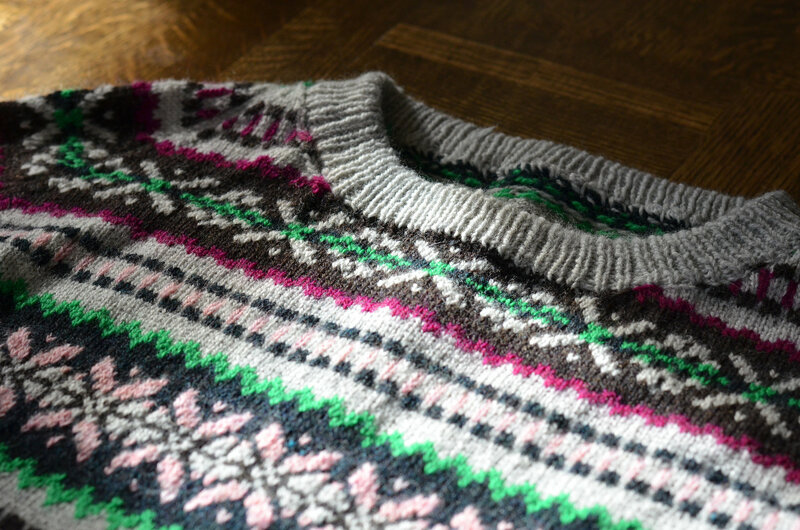 Gather the elements from your kit that match with your photos. I am going to use this series of photos of my youngest son riding his bicycle for my layout, hence the bicycle stencil. I want to use the large arrow in my title. I used a free Photoshop action called CoffeeShop Denim to alter my photos and bring out more blue in them. 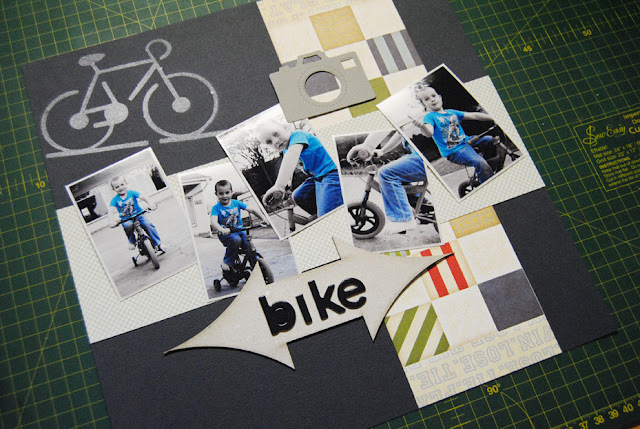 Cut out your photos and arrange all your elements in the following design, or any other that may better suit your photos. I kept my layout pretty simple so that the photos and bold bicycle misted shape would be the main focus of my page. 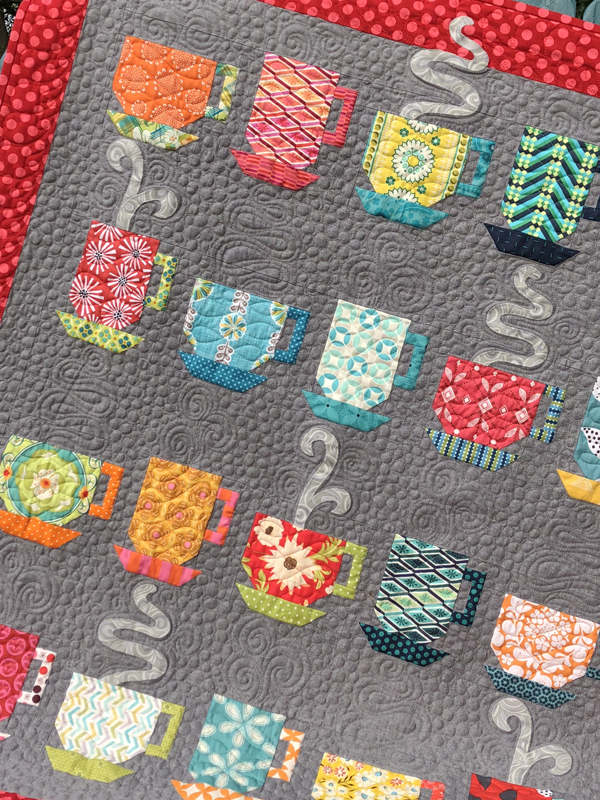 Add more embellishments to your layout as desired. 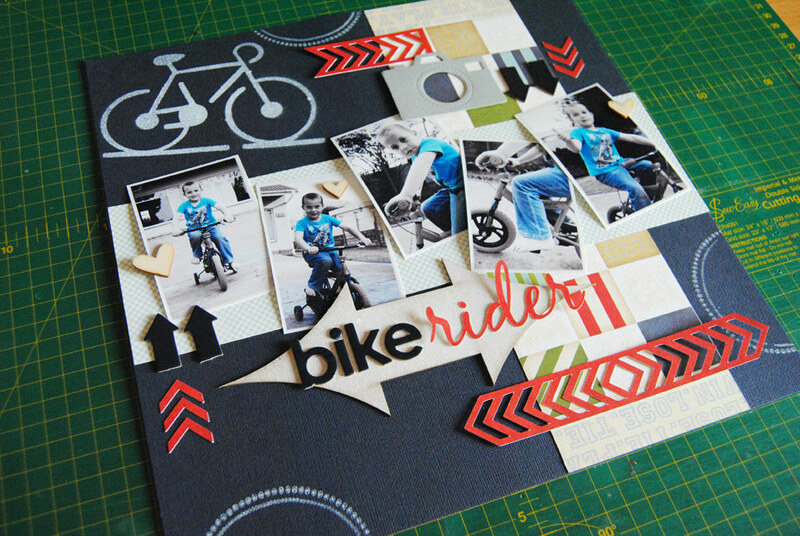 I chose to use the bold red paper in the kit to cut out the word “rider” as well as the arrows. I used my Silhouette Cameo to do this. I also added some stamped circles in white. This is just something I do personally. After arranging the layout as I would like it, I take a photo with my phone so I can remember the exact position of each element, so I can stick it all down correctly. I add some straight stitching with my sewing machine. 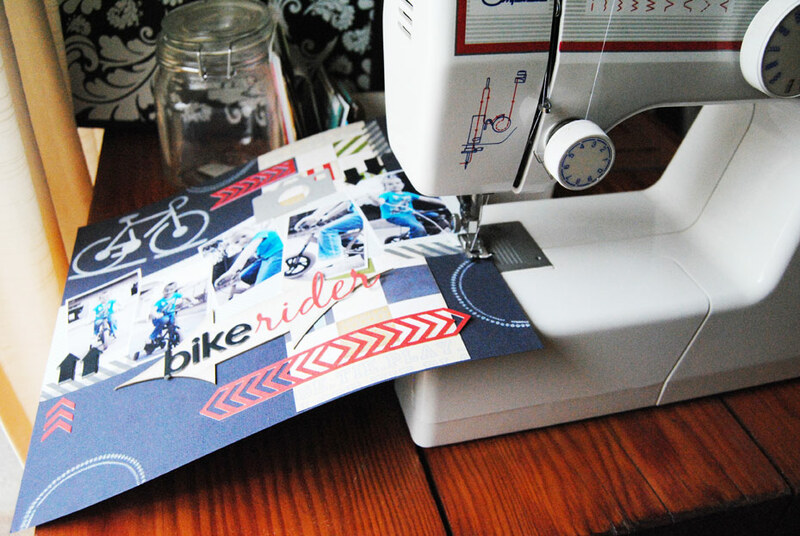 I often sew on my layouts as I love the homely effect it gives my page, as well as extra texture. I did a bit of free hand stitching along the side of each semi-circle. 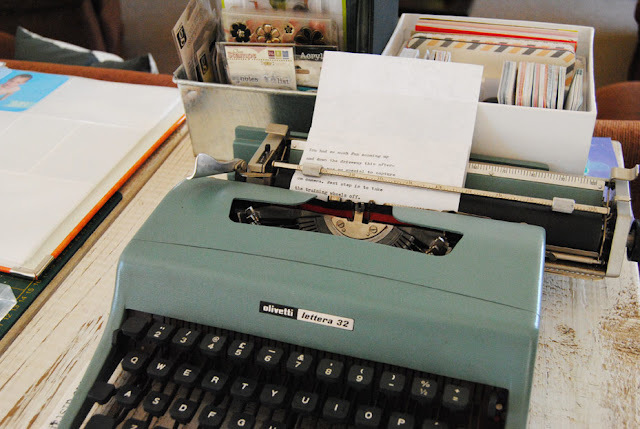 I totally love this old typewriter which I bought on auction. If you notice on most of my layouts I love to do my journaling in strips, and the old font and effect I get from the typewriter is just perfect for me. I type out my journaling and then cut into strips and adhere to my layout. Here is the end result!! I totally love the way this layout turned out. REMEMBER - This kit can be ordered by just e-mailing sales@scrapbookstudio.co.za with September DT kit in the Subject Line. For more info of other product available, PLEASE stop by SCRAPBOOK STUDIO to see their lovely range of scrapping goodies!!!!! 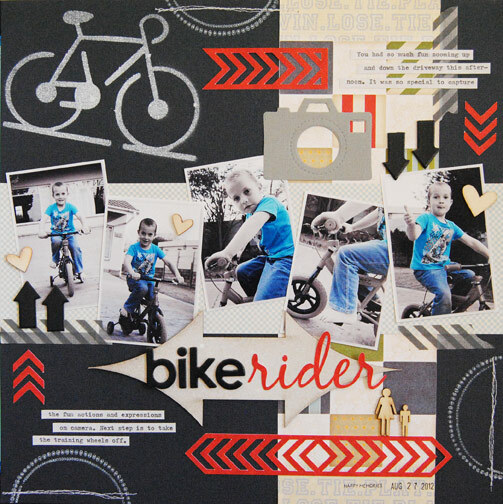 A modern and beautiful layout, totally in love with thie bike and arrows! Youe tutorial rocks! 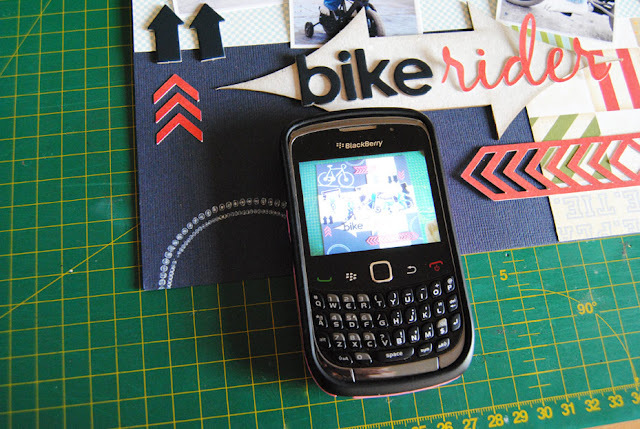 Thanks for share the BB photo tip, good idea!